Trying to convert your balcony into a garden, or considering setting up a kitchen garden? If you are, then you don't have to struggle and fail miserably (like we did). Just hit up Green Thumbs Boutique, and they will turn any drab space in your house into a beautiful floral garden or a simple organic one. 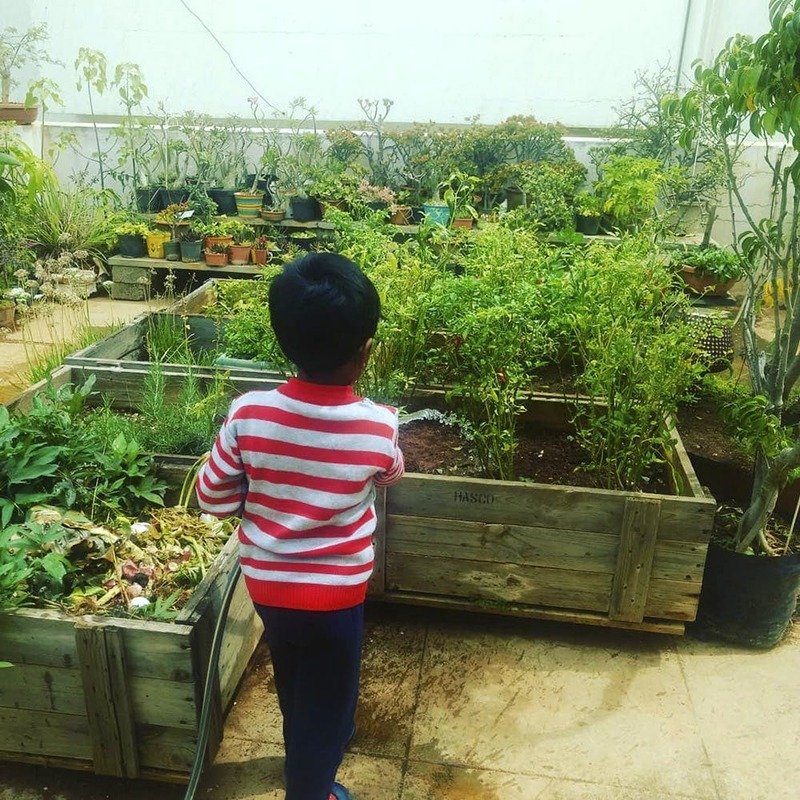 How it works is, Ranjit and Minette (the co-founders of Green Thumbs Boutique) will come over, identify and take pictures of the space you want to transform and then send you a graphic representation of a potential garden there. While landscaping a garden from scratch takes about three days, setting up a balcony garden only takes only a couple of hours. Looking to DIY? Check out their range of gardening accessories. We spotted hand painted terracotta planters that double up as party favours (the Batman planter caught our eye), starting from INR 150 and pretty terrariums starting from INR 650 (it goes up depending on the planter and plants). Everything is home delivered with INR 500 being the minimum order price. P.S. If you can't find a specific plant on their page, they will source it for you through their suppliers and contacts from around the country! They don't have a physical store, so if you want to place an order or contact them for a garden makeover, reach out to them via Facebook or Instagram.